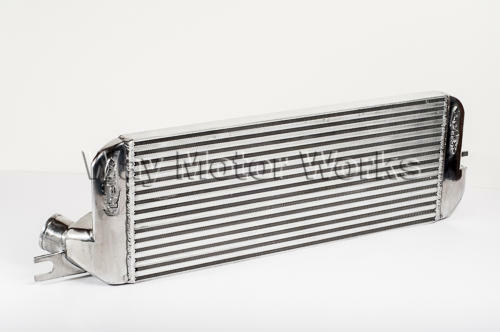 Helix Stepped Core Intercooler for 2007 and newer R55 R56 R57 R58 R59 MINI Cooper S. The Helix Intercooler design has a bigger frontal ambient face combined with thicker-than-stock core that seals to the radiator fan/shroud. 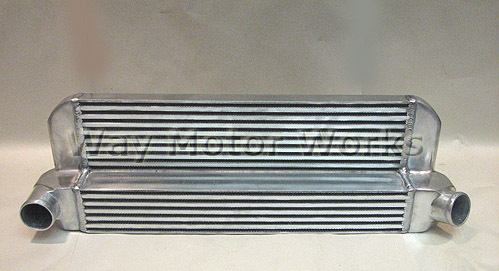 The cast end tanks have factory charge pipe angles. 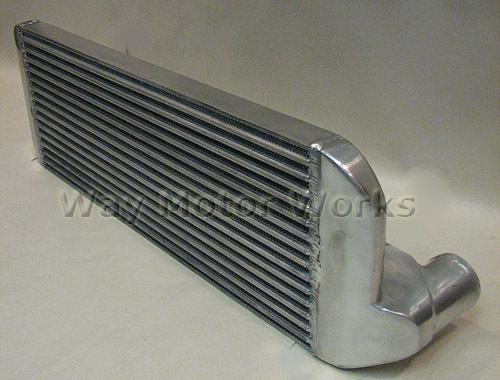 The Helix SCI features cast end tanks for reduced turbulence and bull-nosed bars on the ambient face as well as the hot side of the intercooler. 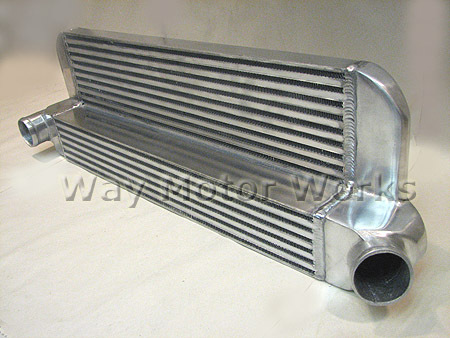 This increases air flow across the face of the intercooler as well as reducing pressure drop through the core. The core of the Helix SCI has increased fin density and will flow 250 horsepower with only a 0.5PSI pressure drop, while greatly reducing heat soak. 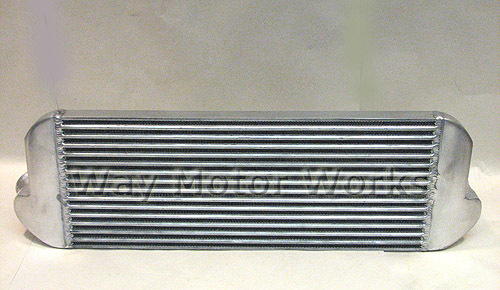 Installation is relatively straight forward and requires no cutting, drilling or permanent modifications to your vehicle. 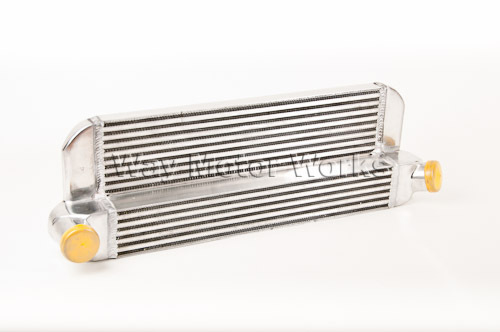 It mounts using the hoses to hold it in place. 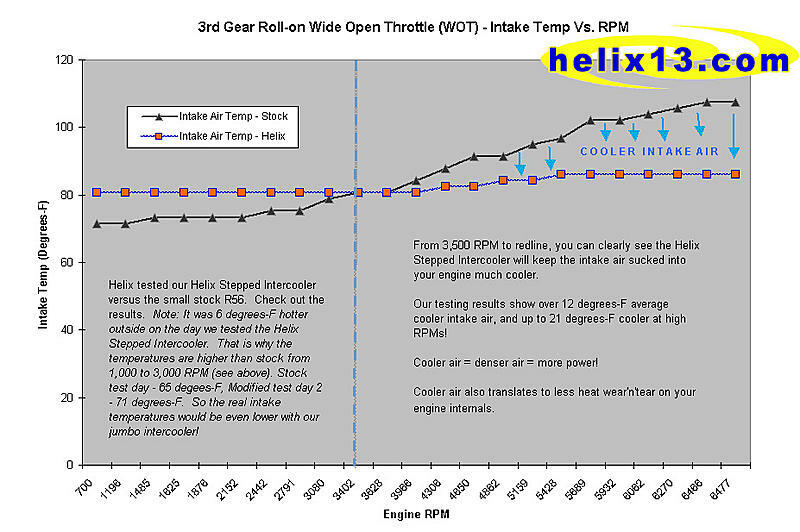 Helix Intercooler weights 13lbs 12oz.